Western Style Denim Jacket is rated 4.3 out of 5 by 94. 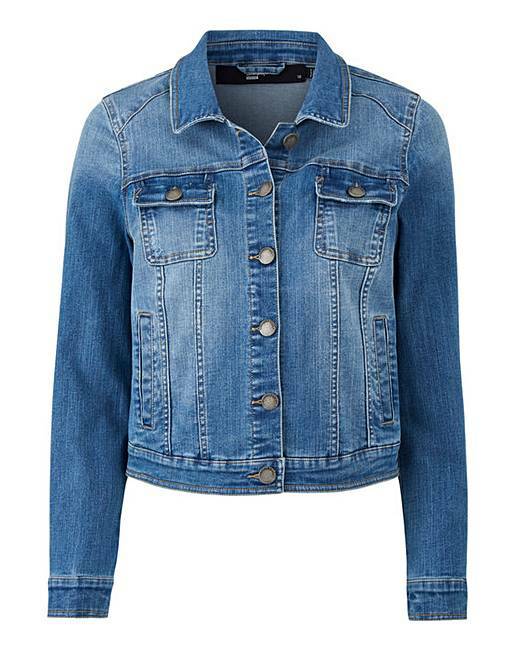 A must have style staple, this western style denim jacket is ideal for effortless, everyday style. 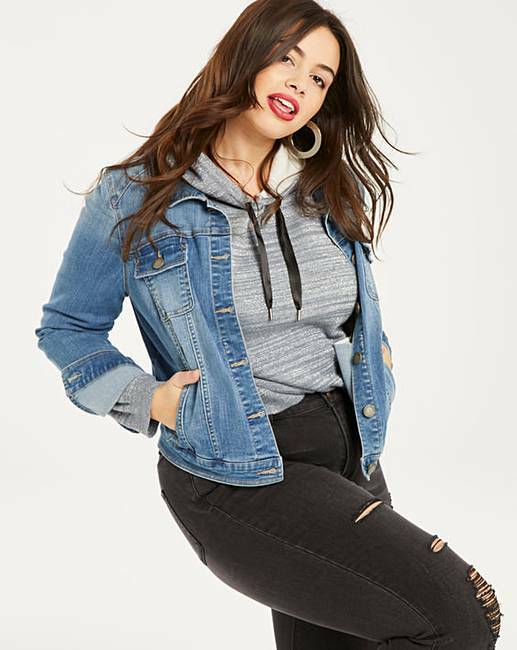 With two front pockets, two chest pockets and in a fitted style, dare to wear double denim and style with skinny jeans, trainers and a plain white tee. Mid Blue: 99% Cotton, 1% Elastane. Washed Black: 63% Cotton, 23% Polyester, 12% Viscose, 2% Elastane. Rated 5 out of 5 by Sue from Classic denim jacket Bought this as love denim jackets this is a good everyday cLassic but will double up for evening with a nice dress perhaps.. Love it! Rated 5 out of 5 by Karen from very comfortable I bought this ready for the spring/summer. 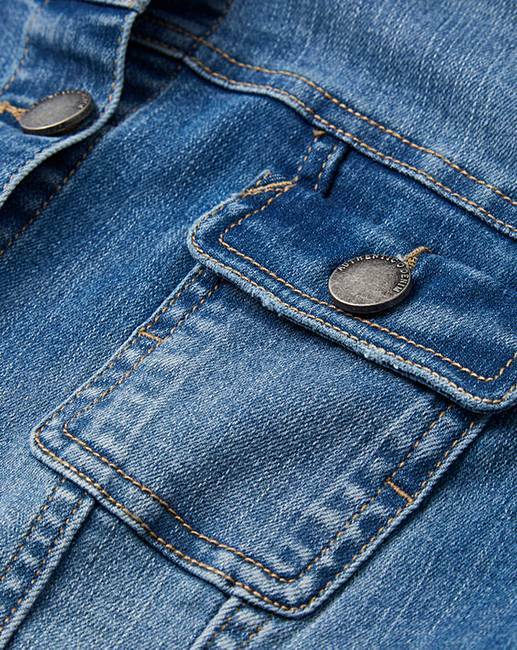 The denim is very soft and is so comfortable to wear. Great value for money. A capsule piece for your wardrobe, dress it up or down it looks great. Rated 5 out of 5 by Lorraine96 from Perfect! 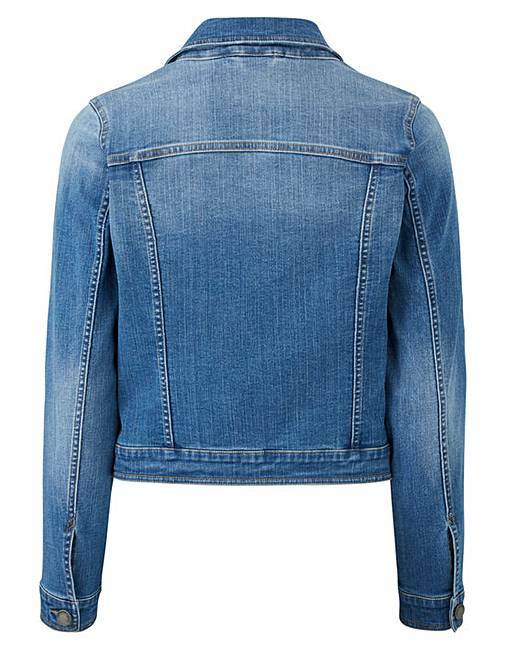 The perfect denim jacket. Good faded colour, great fit at a great price. An excellent purchase. Rated 1 out of 5 by Tilly from Cropped Jacket - what a disappointment So disappointed with this jacket! Looks lovely on the photos, but when sizing up it just gets wider and not longer, so it was a cropped jacket. Rated 5 out of 5 by Snoopy 10 from Good fit I bought this for abroad, wanted something light for nights. 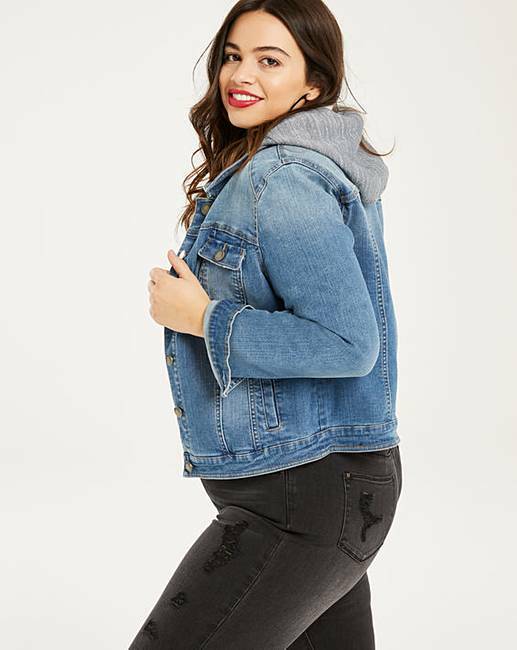 Rated 5 out of 5 by Jma from Great jacket I have tried many denim jackets from well known high street stores, and have always felt I was too old to wear them. Thought I would try this one, and I love it! It actually fits perfectly, and suits my body with an added stretch for arms. I feel I wear the jacket, the jacket doesn’t wear me! I am looking forward to wearing it with maxi dresses as well as trousers. Rated 5 out of 5 by Claire from Lovely jacket Love this jacket, couldn't believe it actually fit me as I can never get a jacket that fits my body and my arm length so I'm really please. Also really good quality. Rated 5 out of 5 by Jesters from Brilliant basic with a lived in look Love the soft material of this jacket. It has a bit of stretch so comfortable around the top of arms. I find the short length perfect for me (5”3) as it ends at my waist. I went up a size to a 16 and this was a good call- I can do the buttons up if I want to. Great shaping to this jacket- not boxy. Love the slightly distressed denim too. Rated 1 out of 5 by Hsiggy from Cheap material and the smell?? This Jacket was awful, the smell when i opened the package was terrrible like a strong chemical smell. I then tried it on it is far too short, does not go anywhere near the hips it was also small fitting and to top it off the material was really thin and cheap.